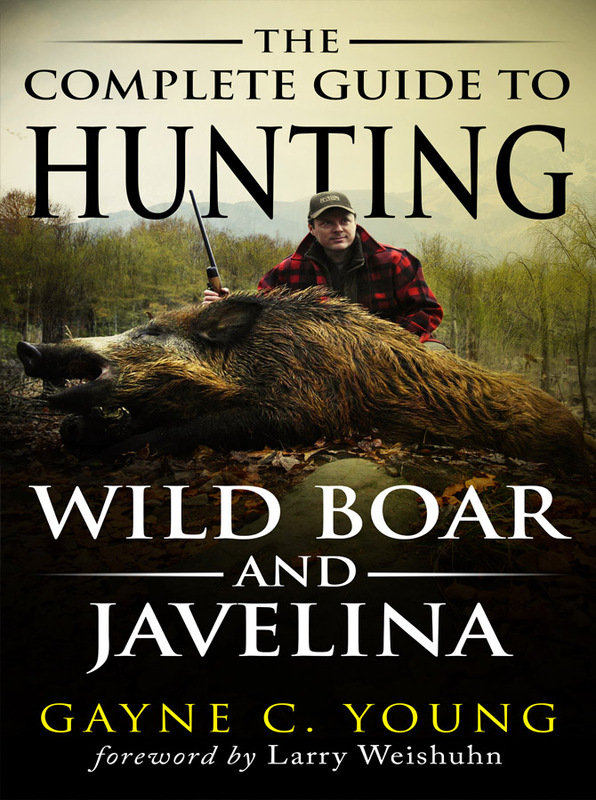 The Complete Guide to Hunting Wild Boar and Javelina details the history, biology, habits, and habitat of what is quickly becoming North America’s favorite game animal – wild boar – and the Southwest’s smallest big game animal – javelina. Included are interviews, tips and hunting methods from the country’s leading hunters, game biologists, outfitters, and outdoor writers. Also included are recommendations on firearms, calibers, archery equipment, clothing, and outdoor gear and information on trophy selection, preparation, and taxidermy. Click Here to Get the kindle edition now. I don’t like that question. You can download a reader for your Mac, iPad, or PC for free at the following links. Thanks. Please leave a review on Amazon if you make a purchase. [review star=5]Complete is the operative word here. 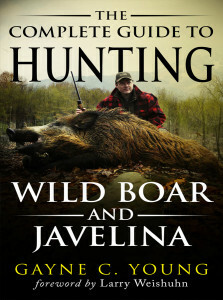 I am an addicted pig hunter and this book filled the bill as the most comprehensive work I have read on wild pig hunting. It covers the history, distribution and social/ecological problems of our Wild American Boars . I particularly enjoyed reading the detail concerning transplanting European boars and feral hogs into North America. There are many tips on the different styles of hunting this exciting game animal. It’s a fairly quick read but leaves out nothing of importance. I Would love to the see the author attack the subject of hunting wild Swine around the world, Africa, Asia and the pacific Islands for instance. An informative and fun read.